"The king of red in the court of gemstones"
The king of red in the court of gems The Ruby may be more valuable and rare than the diamond. 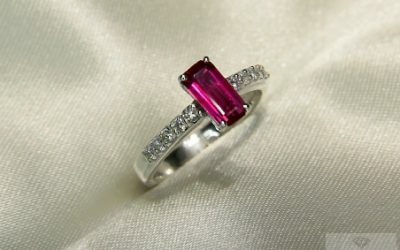 The price for carat doubles over one carat, triples over two carats and over 6 carats… there is no price! 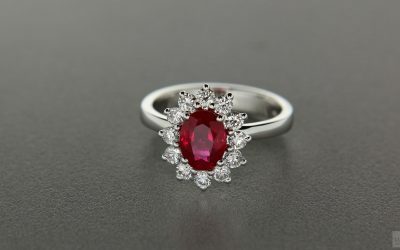 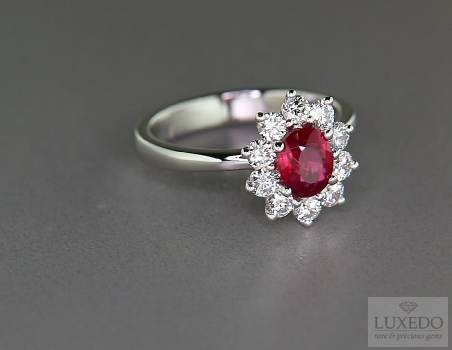 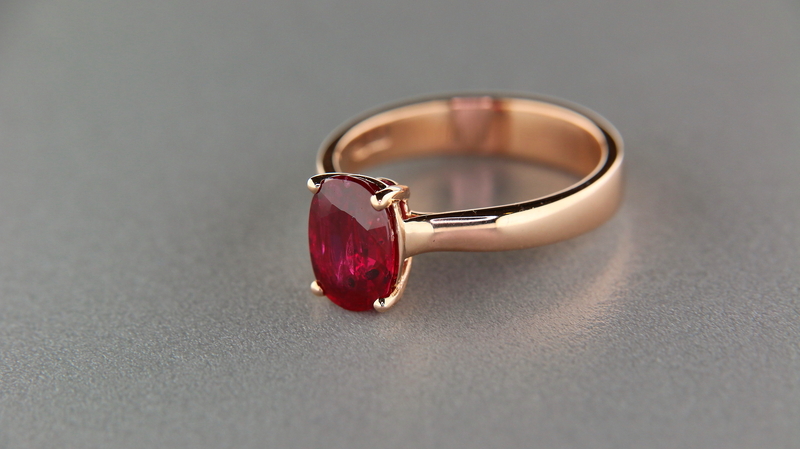 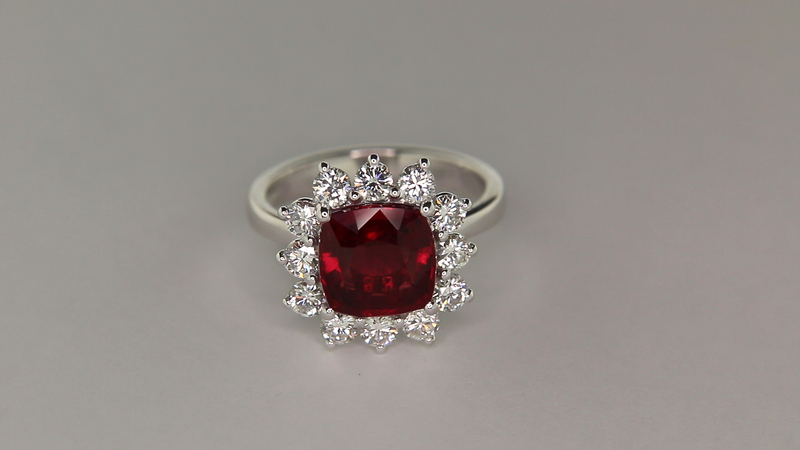 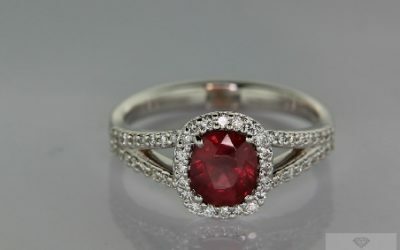 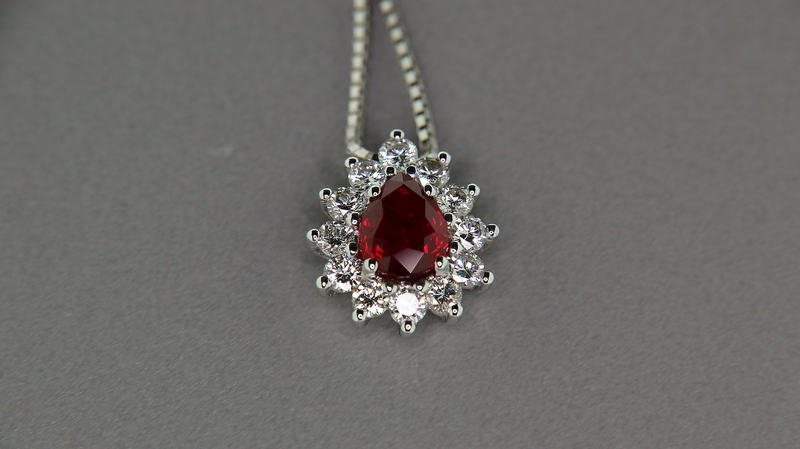 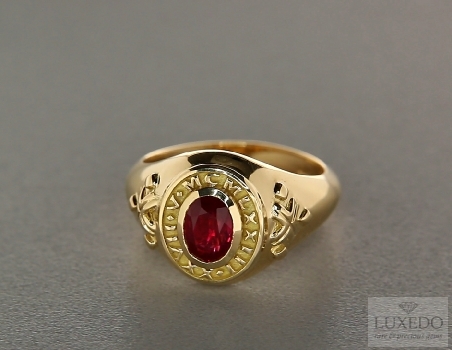 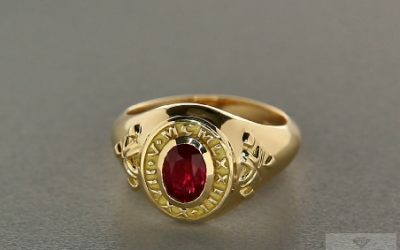 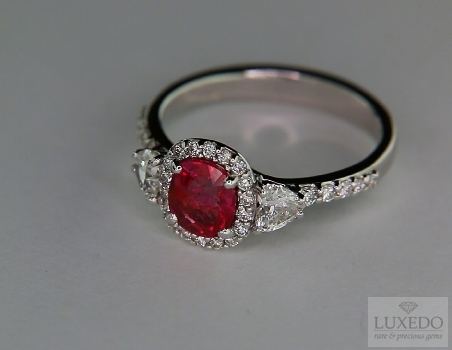 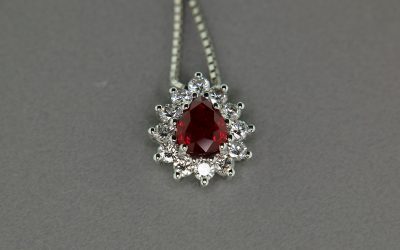 The name Ruby comes from the Latin Rubrum and indicates the red variety of the mineral corundum, all others colours are commonly called Sapphires. 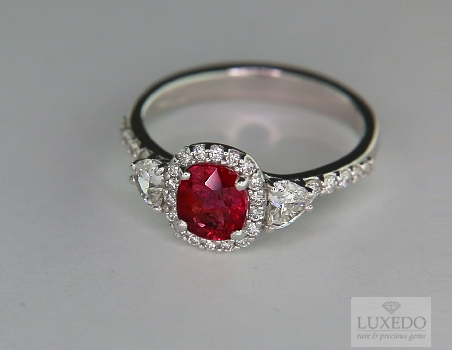 It takes second place on the scale for hardness after the diamond (Mohs scale). 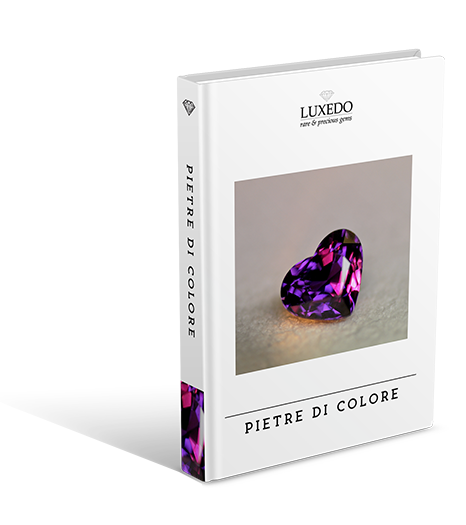 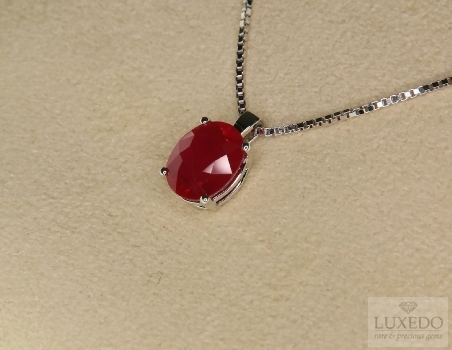 The hardness combined with the unmistakable beauty of its colour makes it the most noble in the gemstone kingdom. 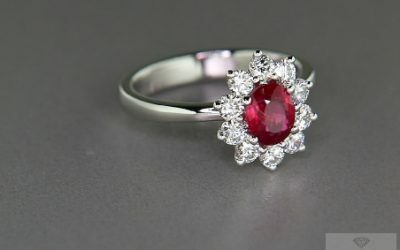 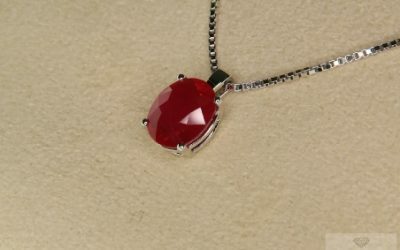 Its colour may have minor hues of red and go from pink-red to orange or purple depending on the chromium and iron content of the gemstone. 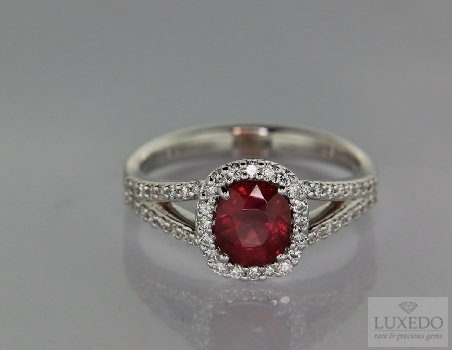 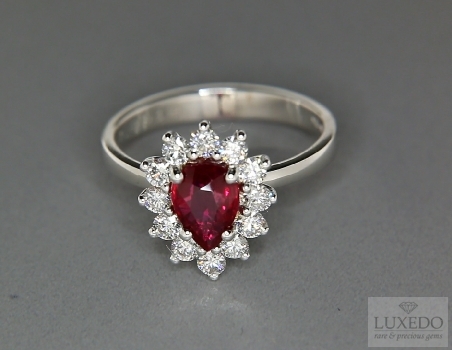 Its colour range has well defined limits beyond which it is considered more a sapphire than a ruby. 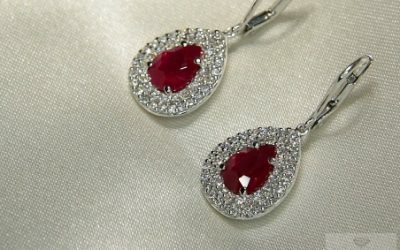 The so-called “pigeon’s blood” ruby classifies both the most desirable colour, pure red with a light hue of blue, and also its origin from one of the famous mines of Burma.Purchase a RubyOnce the natural origin of a ruby has been certified the key feature is definitely colour, such as its hue and saturation. 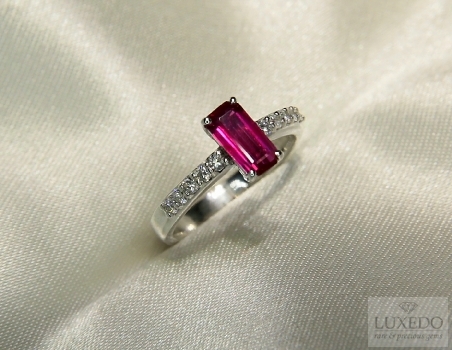 Clarity is often a secondary feature because inclusions are typical of this variety of corundum and may also indicate its geographical origins. 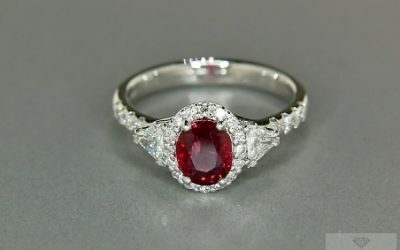 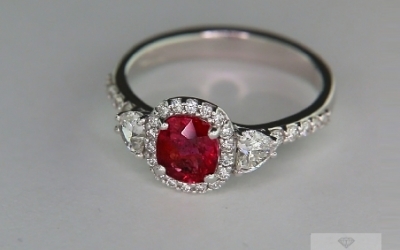 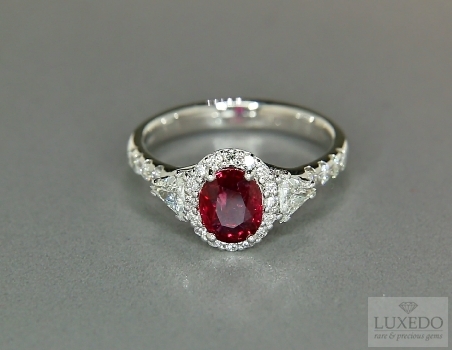 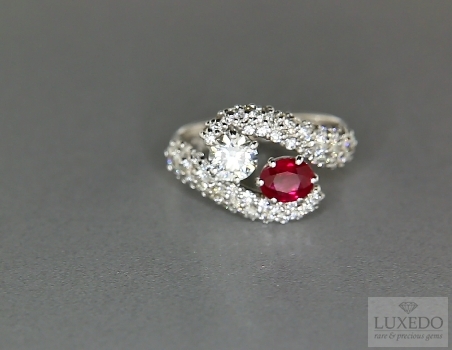 The origin can difference its price as for the Burmese that are the highest rated rubies in the world. 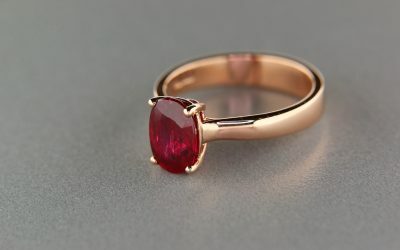 Many treatments have been studied to enhance this very rare stone, so that today we can in the market very different quality gemstones at different prices. 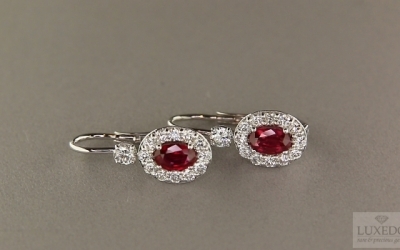 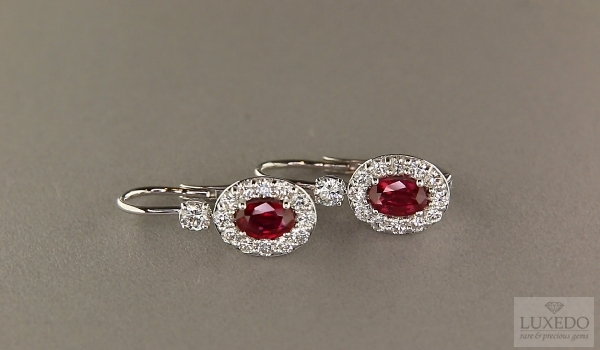 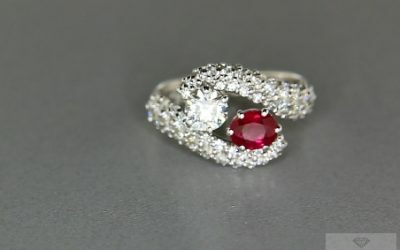 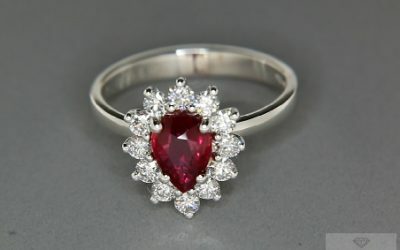 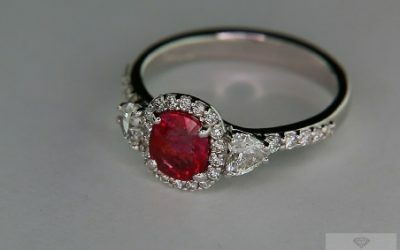 For example Rubies treated with leaded glass appear at first glance to be good, but they cost even 10 times less than untreated rubies since the treatments are not long lasting. 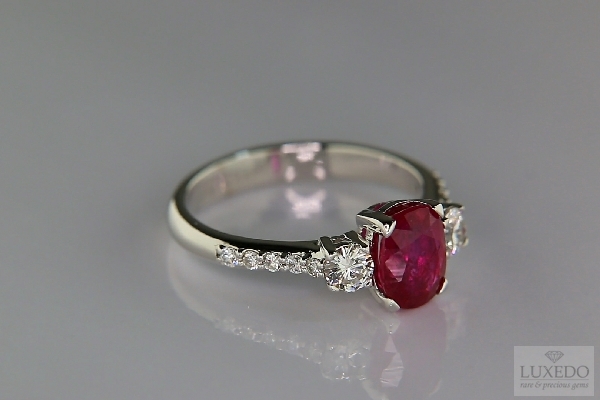 In this cases the original material quality before treatment is of very poor. 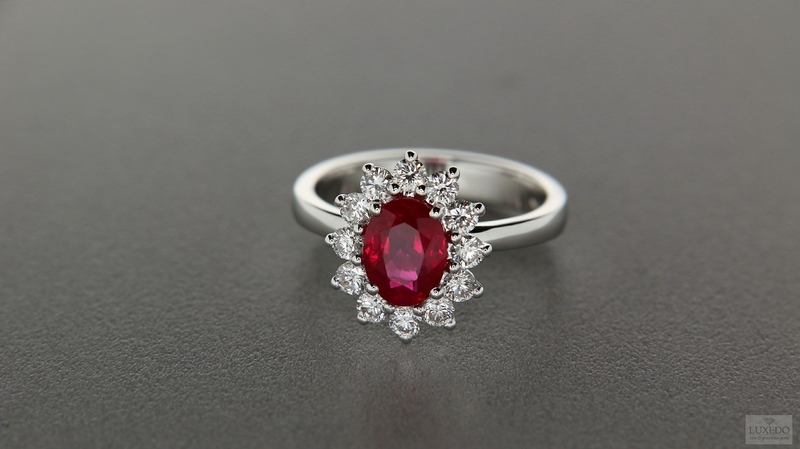 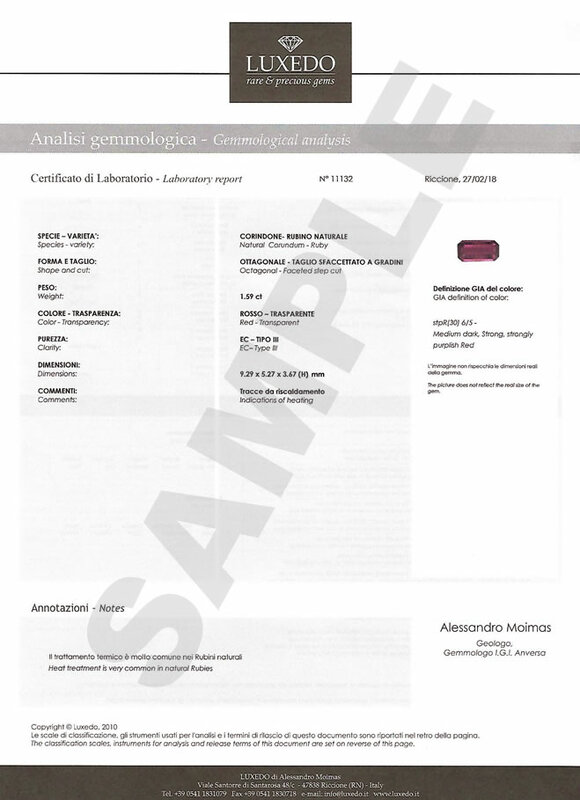 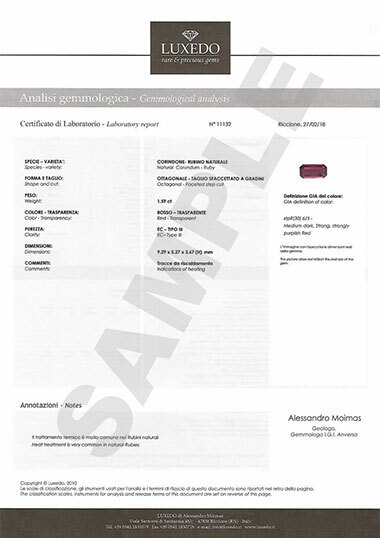 A further job for gemmologists is to recognise natural products from the multitude of synthetic rubies that have been produced since 1800. 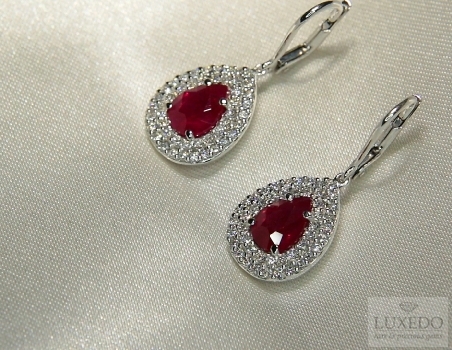 Synthetic rubies, unlike natural rubies, have no inclusions and have always stunning colours.